We didn't realize that woodland caribou existed in Ontario before we started planning our trip to the Slate Islands off the North Shore of Lake Superior. We also didn't realize that there was a difference between the caribou that we all know and associate with reindeer and the woodland caribou that inhabit the boreal forests of Canada. Woodland caribou are the largest of the caribou, but they have smaller antlers as they live in wooded areas including marshes, bogs, lakes, and river regions. They don't form the large herds that we've come to expect from the plains caribou and they don't migrate far distances like their relatives. Instead they stay in one area in the winter and only migrate distances of 50 – 100 km the rest of the year. Woodland caribou are listed as a threatened species and they have a difficult time surviving on the mainland of Ontario. They are easy prey for wolves and other predators, so they tend to now only exist on islands free from natural predators. We visited the Slate Islands of Lake Superior and it was here that we had the chance to witness the largest concentration of woodland caribou in Ontario. 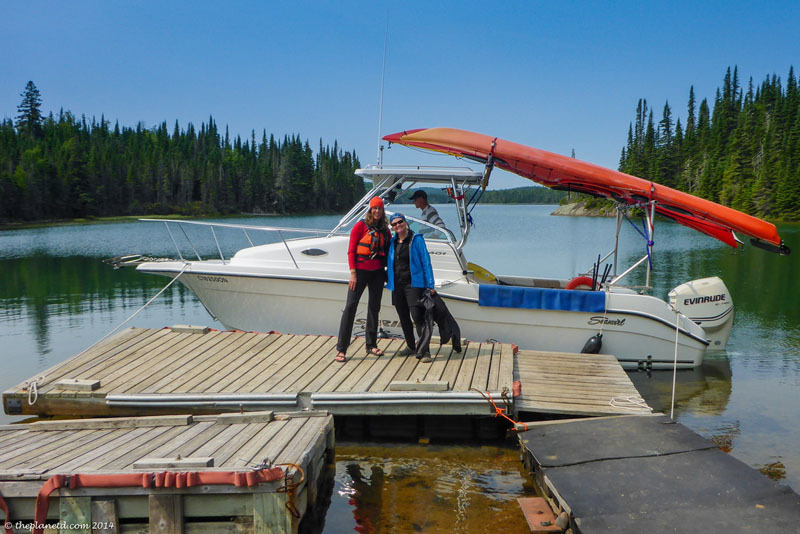 The Slate Islands are an ideal place to camp and paddle as there are no bears, wolves or moose on the islands. Caribou won't hurt you. At times they are a little skittish, but at others very curious. They'll walk through your camp to have a look around, eat leftover ash from your campfire, and stomp around eating grass until the wee hours of the morning. They are in one word, adorable. 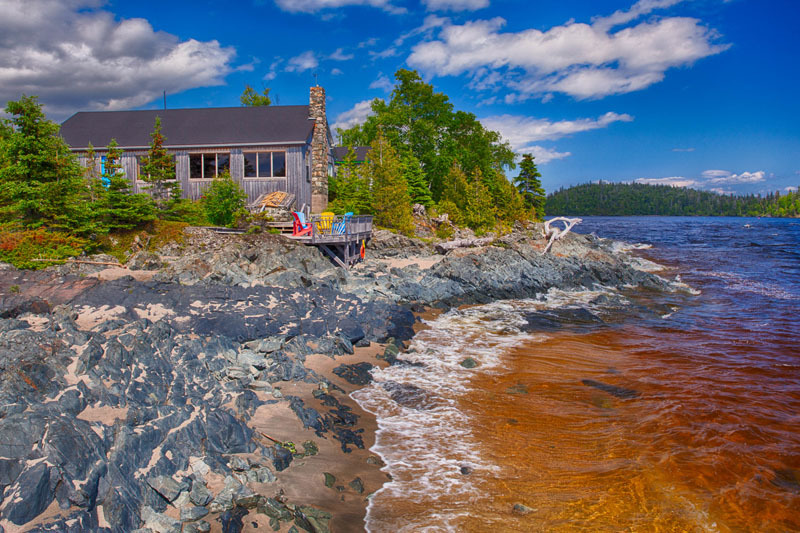 We booked our trip to the Slate Islands with Naturally Superior Adventures where we spent a night in their luxurious Rock Island Lodge. Most of their trips begin here. 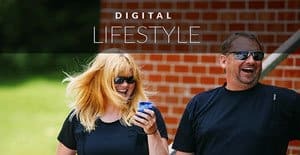 People gather at dinner to talk about the different trips everyone is taking the next day and enjoy one final night enjoying wine by the fireplace and sleeping under a cozy duvet. After breakfast, we all head out on our separate expeditions. We left at 9:30 am to drive 3 1/3 hours farther north to Terrace Bay where we caught a water taxi to the Slate Islands. The boat ride takes about 30 minutes and it carries all your gear and kayaks across the rough waters. It's a much more pleasant way of starting the trip than having to make the treacherous crossing on the unpredictable Lake Superior waters. We were lucky to have an amazing guide on this trip and were grateful for her knowledge and expertise. Jen hails from North Bay, but knows these waters well as she's been guiding during her spare time from teaching and counselling young offenders for the past 10 years. We figure if she can handle them, she can keep Dave and myself in our place! 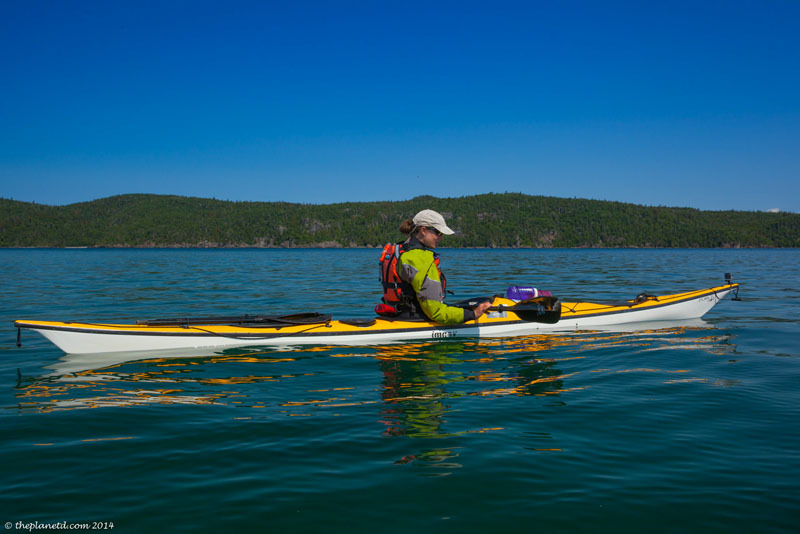 I think having a guide is important when exploring the Slate Islands or the coast of Lake Superior. 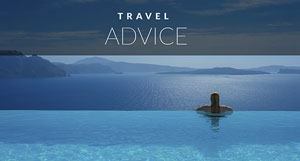 If you don't have a lot of experience on the Great Lakes, it can be dangerous. Lake Superior weather can change in an instant and between winds and fog, many a would be adventurer has put themselves at risk. Besides, if we went out to the Slates blindly, I'm not sure we'd ever see a caribou. Thanks to Jen's intimate knowledge of the islands, she knew the exact campsite they like to frequent and the types of conditions we'll most likely see them in. In total, we saw 9 caribous. The females were much more relaxed for us. Before learning about the Caribou, (we're now experts don't you know) we thought that woodland caribou were like the barren ground caribou. We had visions of hundreds of caribou running through fields or crossing bodies of water. 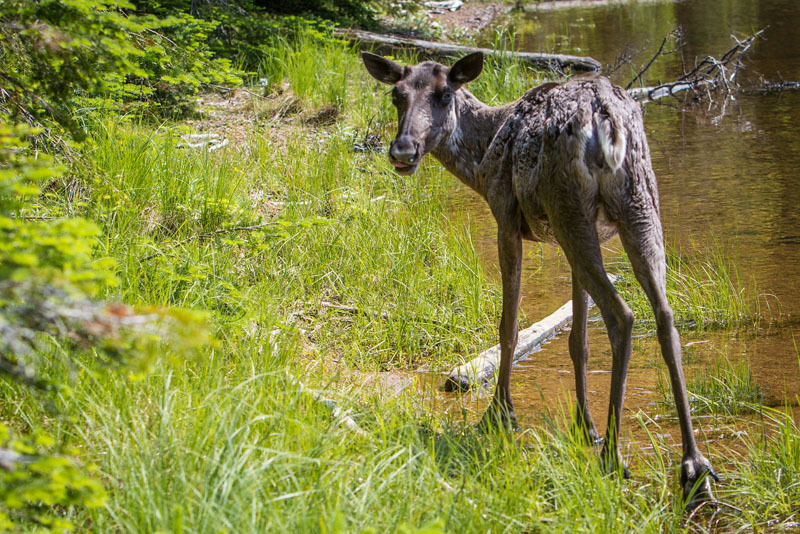 It turns out that the woodland caribou of Ontario, are solitary creatures. You'll usually see them alone, or with their calf walking through paths in the forest. The paths on the Slate islands are so well used, that it looks like humans have cut hiking trails through the woods. 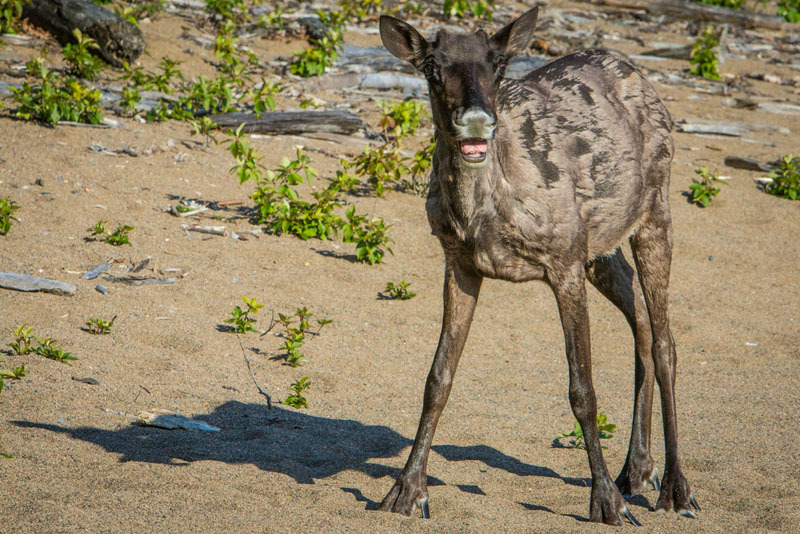 Instead, it's the caribou making their way around the islands in search of moss lichens. During a very cold winter in the early 1900s, a herd of caribou crossed over the 10km of frozen water and settled in the Slates. With no natural predators and an abundance of lichen (aka old man's beard), the population reached over 600. A food shortage in the 1990s caused the population to decline and today, it is estimated that there are around 100 caribous on the islands. Since we saw 9 during our time there, we tend to think that it is probably higher and numbers are coming back. 2014 proved to be a very cold winter. Lake Superior froze over creating a land bridge between it and the mainland 10 km away! A pack of wolves made their way to the Slates this winter, but the good news is that authorities think that the wolves crossed back to the mainland as the caribou seem to be thriving and there have been no wolf sightings thus far this summer. Whew, we would hate to see this small population wiped out once and for all. It seems that this sub species of Woodland caribou has a difficult road ahead. They cannot survive on the mainland with the human population encroaching on their environment and wolves and moose now inhabit their environment. They're easy pickings for predators as they don't have a lot of defences and they don't have the safety in numbers like their barren ground relatives. so if they can't survive on the Slates or the nearby Michipicoten Island, they may not survive at all. So, if you want to see the gentle woodland caribou in the flesh, get yourself out to the Slate Islands. 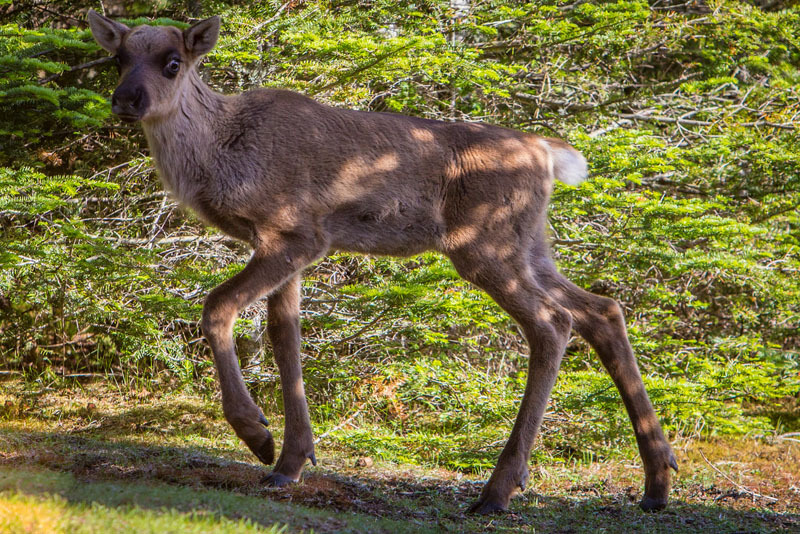 As we said above, they woodland caribou are in one word, adorable. 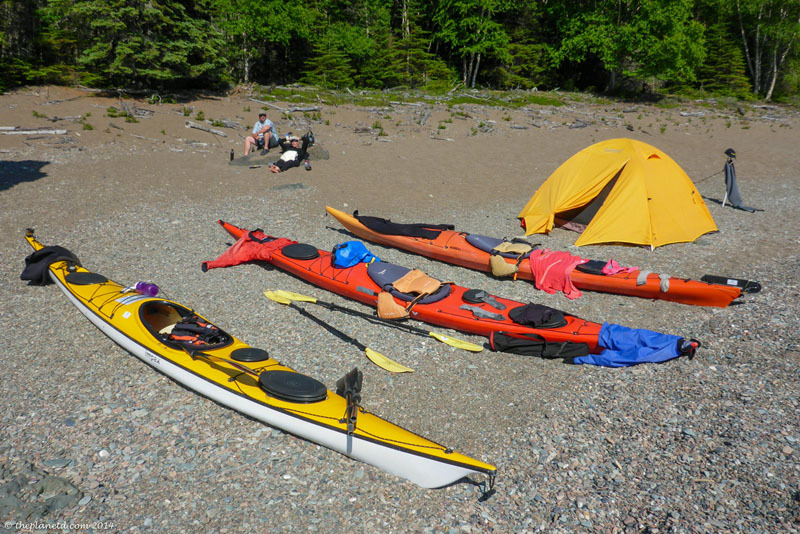 To book your canoe, kayak, hiking or even if you are on a road trip through Lake Superior and need a couple of nights to relax in paradise, visit the Naturally Superior Adventures website. 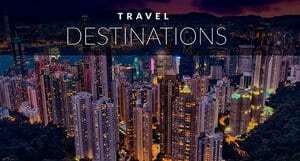 It's a great weekend getaway too! 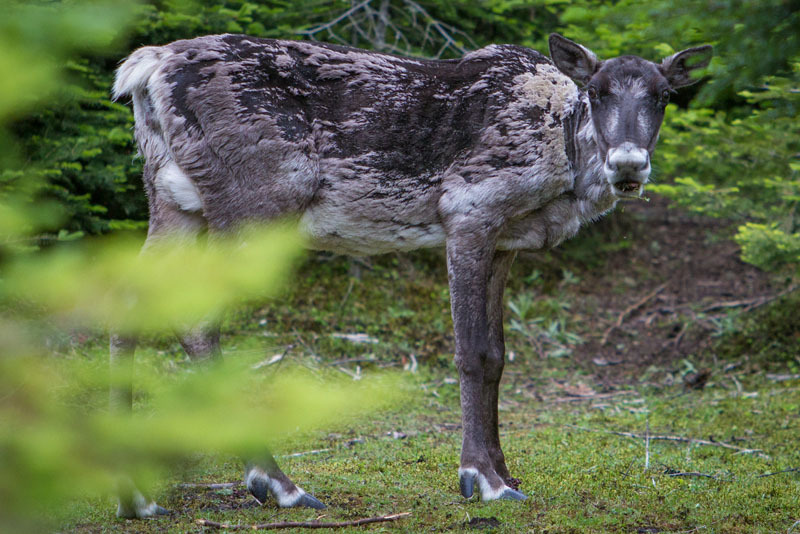 4 Responses to "The Rare Woodland Caribou of the Slate Islands"
I noticed that a Caribou looks like a cow and deer combined. They look harmless and I hope their population will increase. They are definitely harmless. If a predator got to them, they’d be finished. Unlike the plains caribou, they don’t have safety in numbers. Thanks for sharing. These pictures of the Caribou are great. 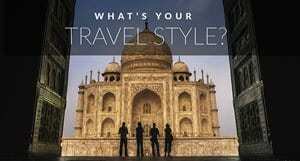 I would love to go there and see them in person. I go to a lot of zoos but they never seem to have the Caribou in them. I also love Kayaking so it seems like you had a great experience overall.